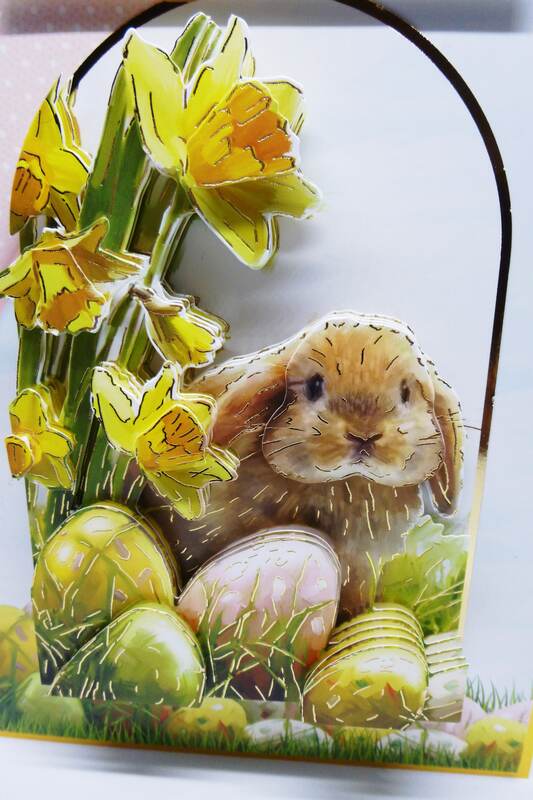 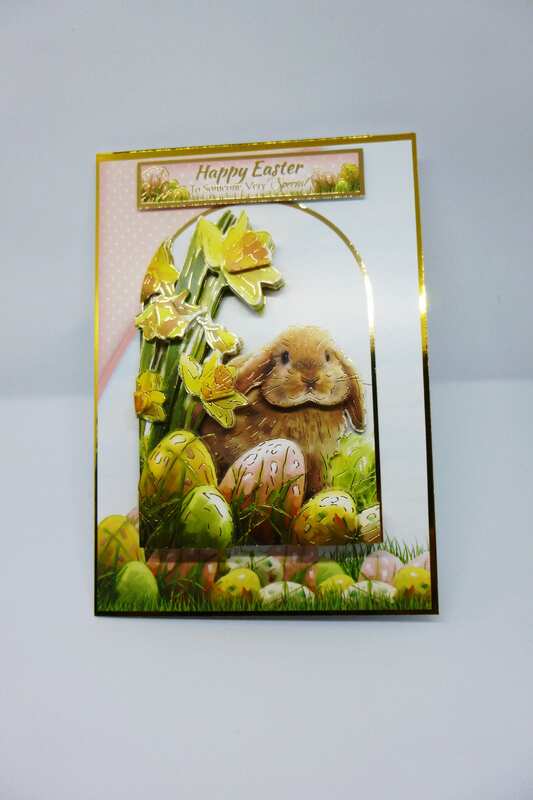 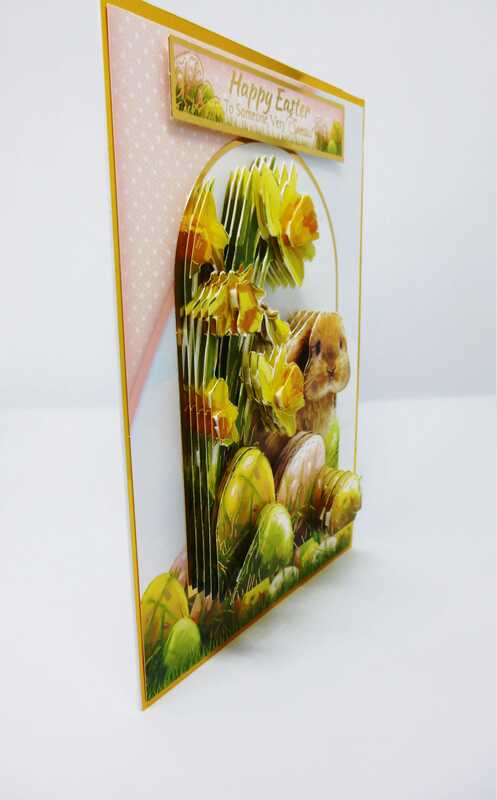 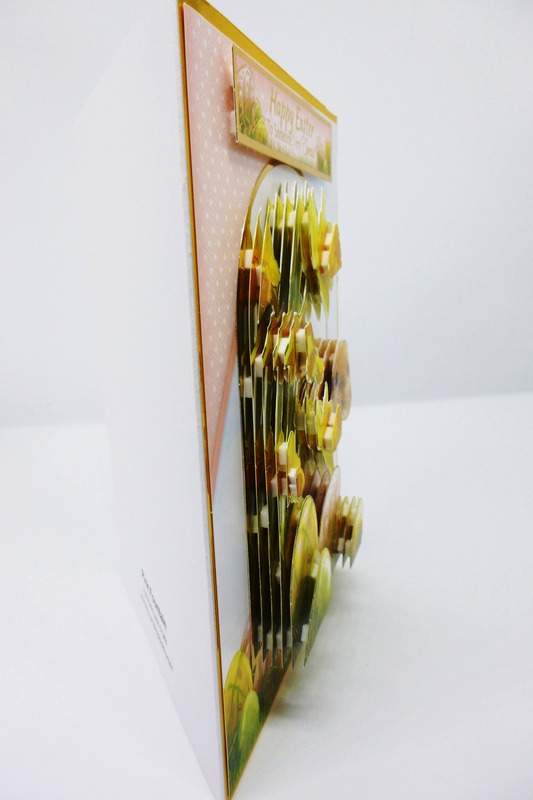 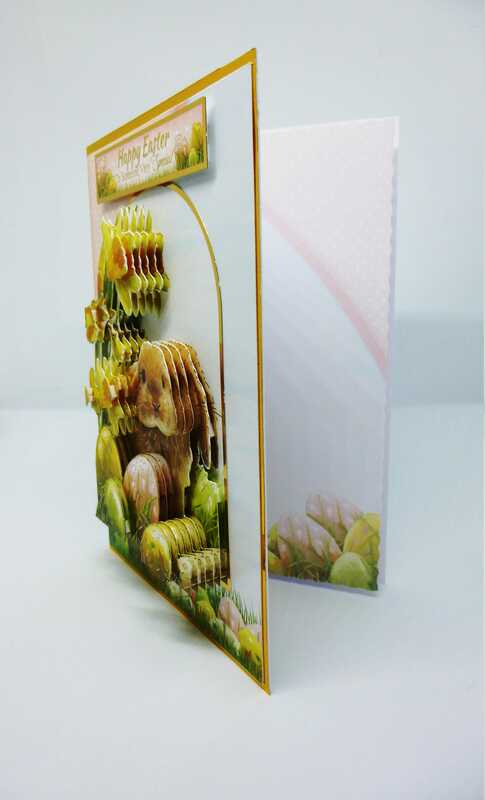 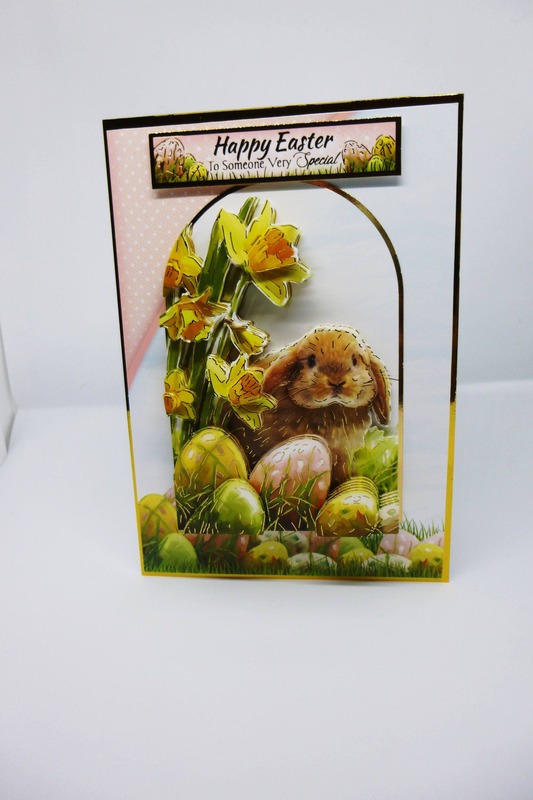 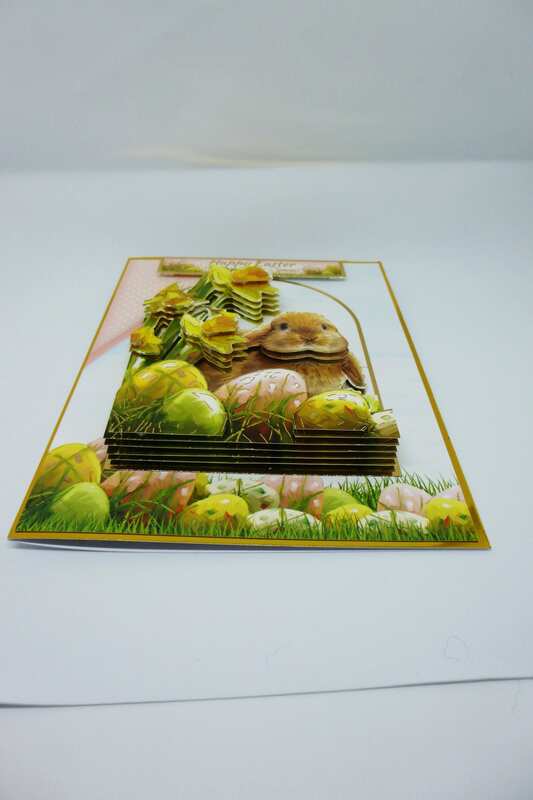 A 3D decoupage Easter greeting card, made from white base card and layered with gold card and patterned card, with a large topper in the centre with the decoupage of a bunny sitting amongst yellow flowers and Easter eggs. 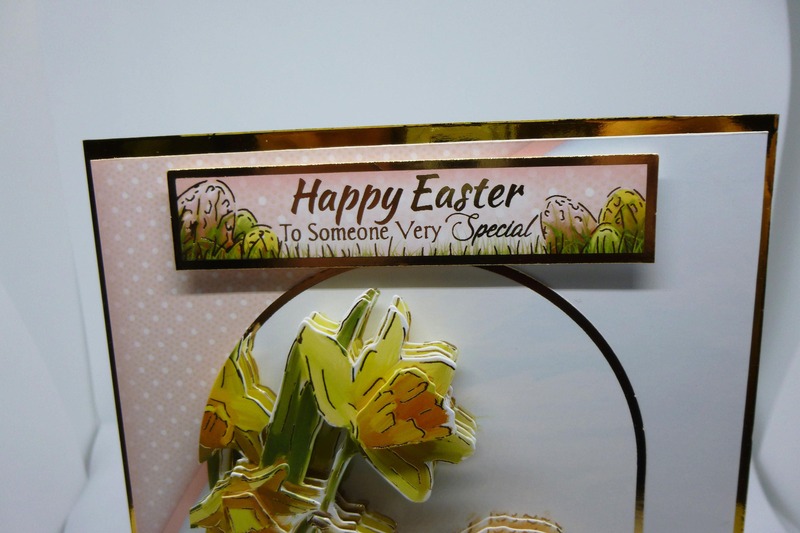 Above is a sentiment which says,' Happy Easter To Someone Very Special'. 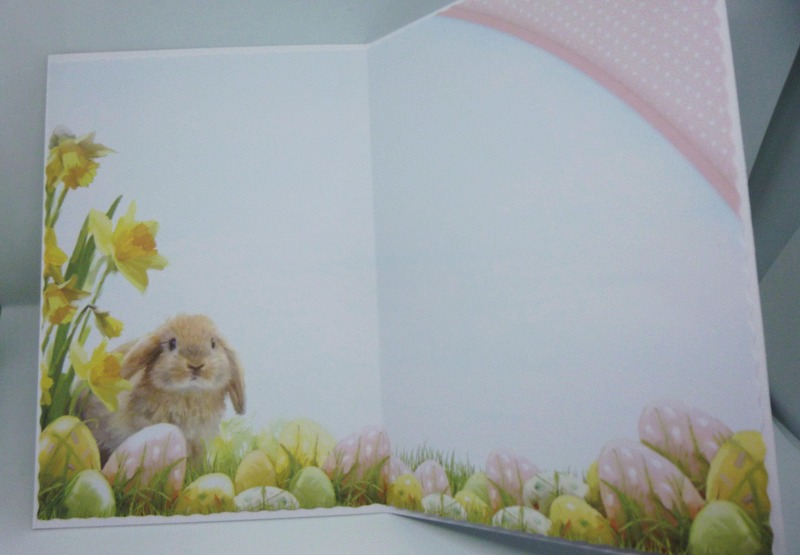 Inside the card is matching insert paper which is left blank for you to write your own very personal message. 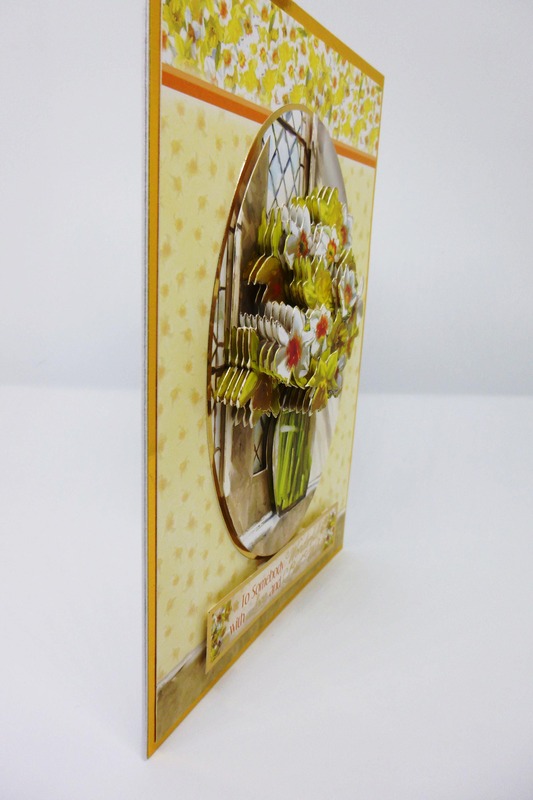 Gorgeous card - very well made!